London's great and all, but it's not the seaside, is it? 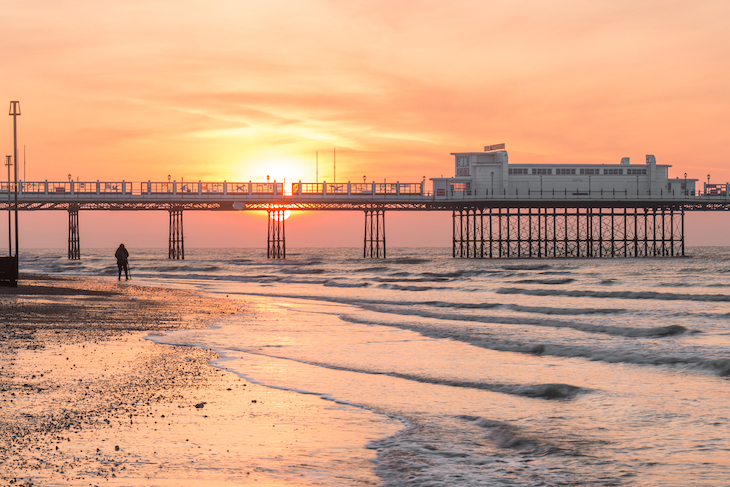 Next time you fancy a day at the beach, why not head to Sussex to visit one of these seaside towns. Note: for the purposes of this article, we have combined the two separate counties of East Sussex and West Sussex into one. 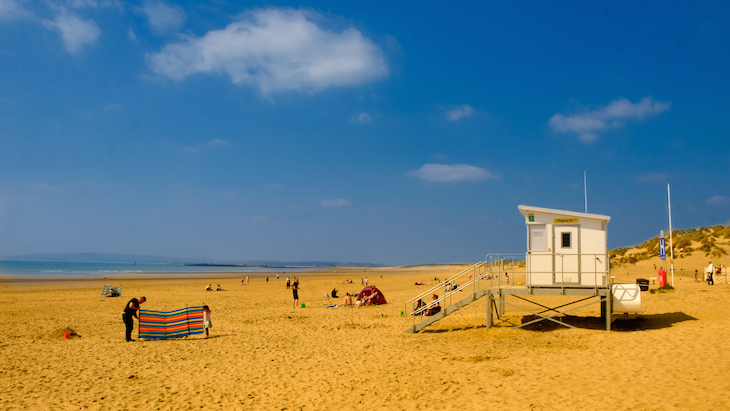 Camber Sands is one of the most beautiful beaches in south-east England, shrouded in golden sand dunes. It's a full-on bucket and spade situation. Pack your swimwear, pack your windbreaker, pack your swimsuit (but take care if you're going for a dip, as the currents round these parts are notoriously strong). Beyond the beach, there's not a lot going on in Camber, except for the usual beach cafes and bars, an amusement park, and many, many hotels. Basically, if you're going to Camber, you're going for the beach. 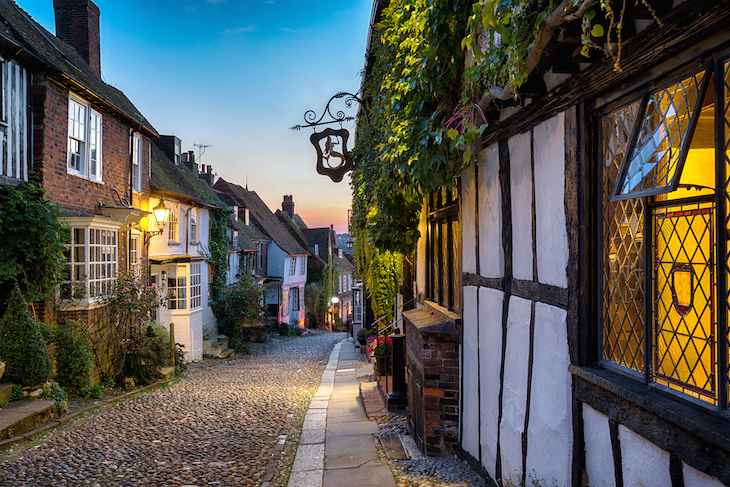 If it's olde worlde charm you're after, Rye is absolutely the one. 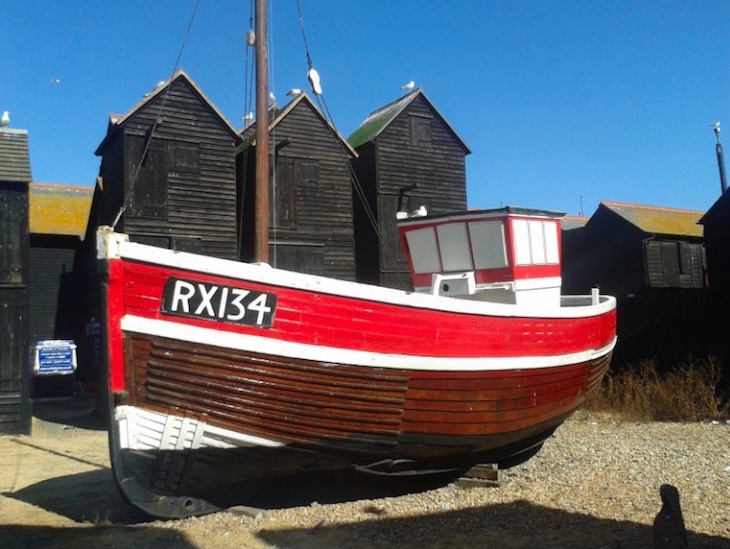 It's the nearest town to Camber, perched on the River Rother, consisting of steep, winding streets, cobbles and charming pubs. You'll have seen photos of the town's quaint Mermaid Street, even if you didn't know that's where it was. Head out of Rye in the opposite direction for Winchelsea Beach. It hasn't got the golden sands of Camber, but the promenade is a great place to wander. 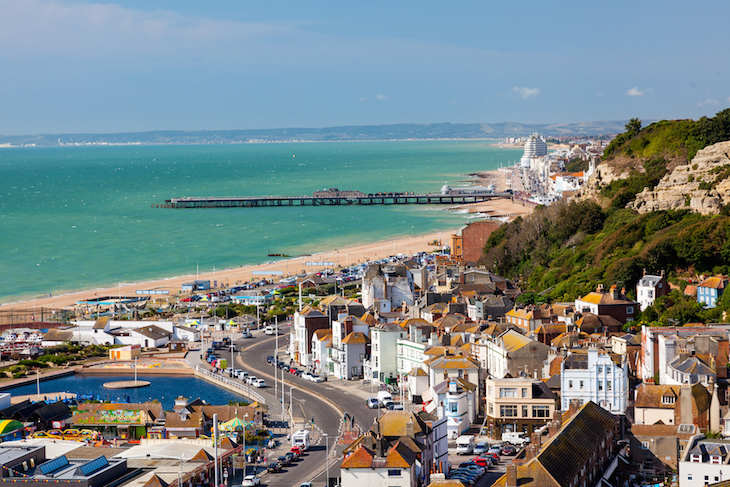 One of the best-known seaside resorts in the south-east, Hastings manages to seamlessly combine quaint seaside vibes with family-friendly, all singing, all dancing fun. The seafront is awash with amusement arcades, fish and chip shops, ice cream vans and funfairs, not to mention more crazy golf courses than anyone could ever need. The pier reopened in 2016 after being closed due to a fire, and is now topped with a smattering of pastel beach huts. Walk a bit further, though, and you'll find wooden fisherman's huts, a cliff-top castle, and an historic funicular railway. As for tourist attractions, that castle and the aquarium are great for families, while those with a stronger constitution may find the True Crime Museum fascinating. Or disturbing. Your call, really. The lesser-known sibling of Hastings is St Leonards. The border between the two is becoming increasingly blurred as they sprawl into one other, and the same beach underlines them both. While Hastings is the full on, in-your-face, British seaside experience, St Leonards feels more hip, and is something of an up-and-coming foodie destination. The Love Cafe is a vegan and veggie cafe, art gallery and venue space all rolled into one, while the recently opened Farmyard focuses on simple, good quality produce, paired with tipples from an extensive wine list. Catch Eastbourne on the right day, and you could almost trick yourself into believing you're somewhere abroad. The gleaming-white Marine Parade is lined with palm trees, manicured gardens and colourful flowerbeds, framing the Victorian pier in green, and there are ample (stony) beaches on which to lay your towel. From here, you could head into the town centre, where you'll find the usual shops, cafes and restaurants, but for our money, it's worth sticking to the beachfront promenade. Head north east to visit the Napoleonic Redoubt Fortress and Treasure Island amusement park, or south west to clock the much-used bandstand, RNLI Museum, beach huts, and the intriguingly named Wish Tower. 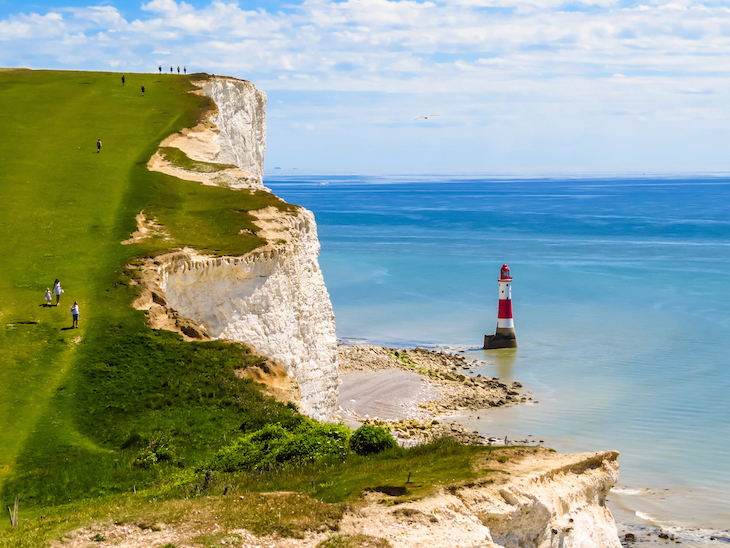 If you have a bit of time, consider heading to Birling Gap and Beachy Head and wandering along the cliffs (the views of the cliffs and lighthouse are sublime, and so iconically British), or drive to Pevensey in the other direction. 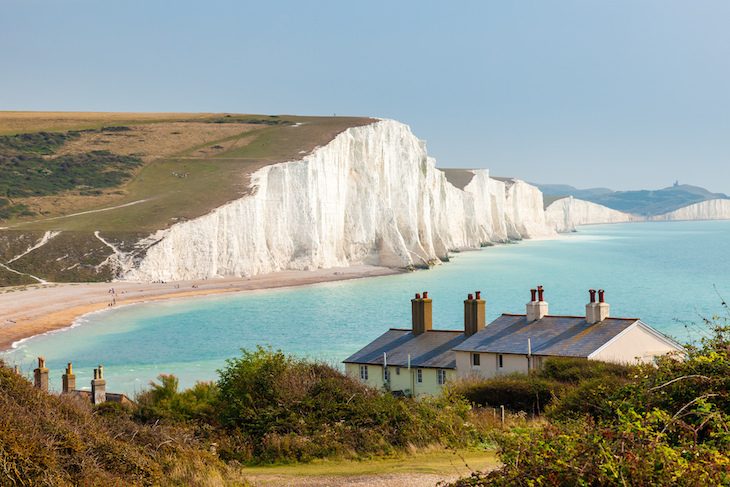 Perched almost equidistant between the behemoths of Brighton and Eastbourne, Seaford is often overlooked when it comes to planning a trip to the seaside. The lengthy Esplanade and Marine Parade make for a bracing walk in the sea air with stunning views of chalky cliffs in both directions. The seafront itself is fairly level, so ideal for those with mobility issues. Beach huts line the southern end of the beach, while further up, there are benches dotted every few metres for passers by to take in the sea views. You'll have to head a couple of blocks inland to get to the town centre, where you'll find cafes, restaurants and pubs, although don't be expecting the usual seaside bright lights — it's really not a town geared up for mass tourism. Now we're not claiming Brighton is a little-known seaside town, but it would be remiss of us not to include it in this list. We're firm believers that every Londoner should visit at least once — after all, its nickname is London-on-sea. So take a pootle out on the pier, and play on the arcades, before wandering around the Laines and back alleys, admire the architecture of the Royal Pavilion, and take a ride on the i360 — sibling of the London Eye. There are plenty of places to eat and drink in the city, but for us, it's JB's Diner every time. 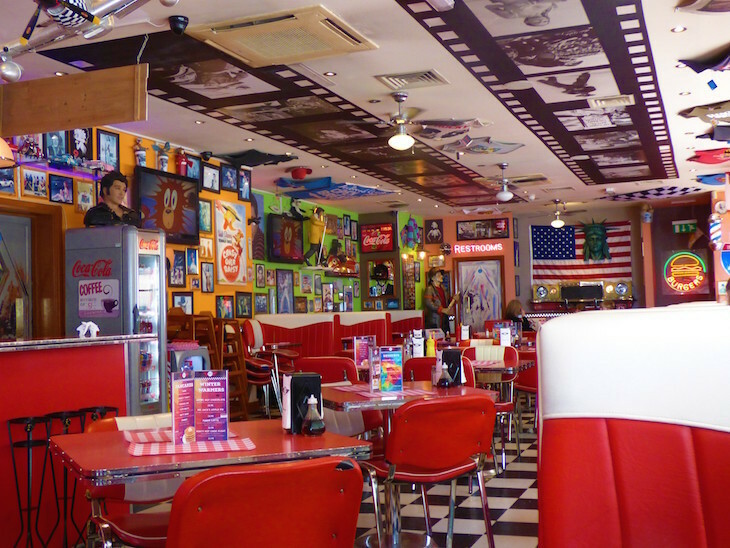 This slice of Americana sits on the seafront, and does a fine line in milkshakes, and the sort of waistband-stretching comfort food that'll leave you needing a long lie down on the beach to recover. Parking in Brighton is expensive, so you're best taking the train if you can. 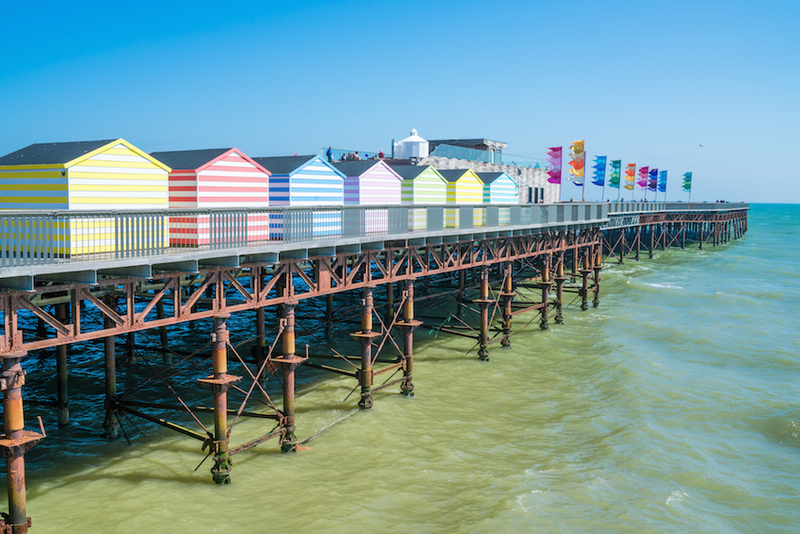 Another beautiful pier can be found in Worthing, but don't be expecting funfairs and candy floss. The main attraction is the elegant Southern Pavilion Cafe, although events including live music and comedy are regularly held here too — check the website for details. The pier presides over a pebble beach, which can get pretty crowded on a summer day. Head into the town centre for restaurants, cafes and some gorgeous Victorian architecture — the Dome Cinema on the seafront is a stunner. 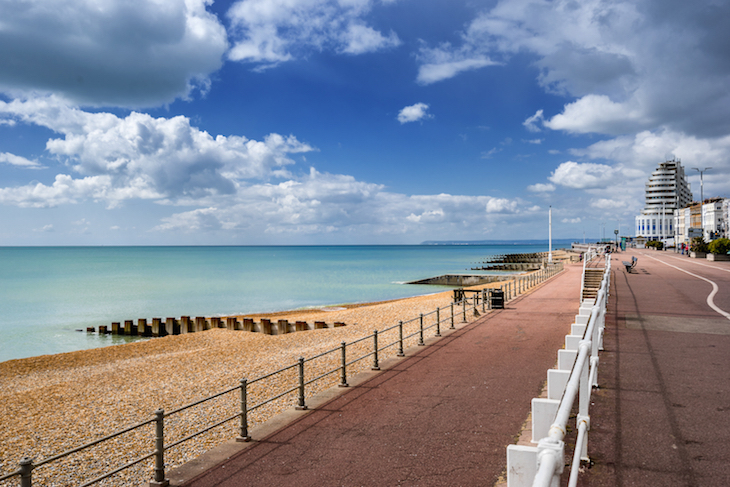 Its name may be the subject of ridicule, and its biggest claim to fame may be as the home of Butlins, but there's plenty to Bognor Regis beyond those white tents. 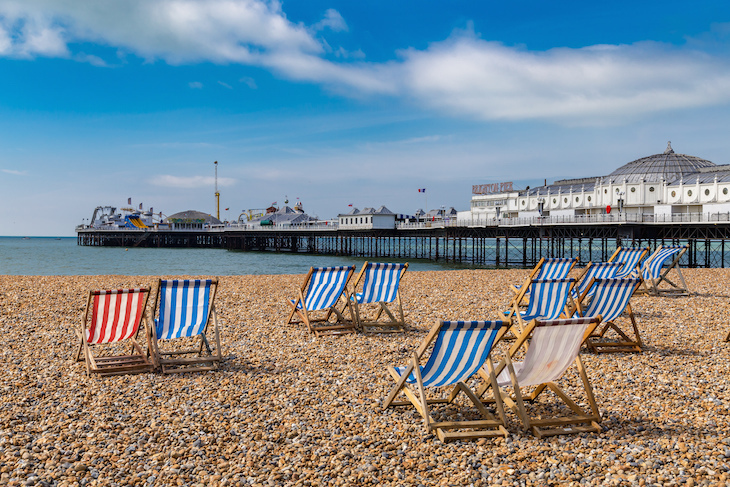 The beach is a shingly one, so no need for your bucket and spade, but it's framed by a lengthy promenade, and the pier — although stumpy by Brighton's standards due to storm damage — is home to restaurants, cafes and a nightclub. Back on dry land, you'll find beach cafes, crazy golf, and enough restaurants and pubs to power you through a weekend away. 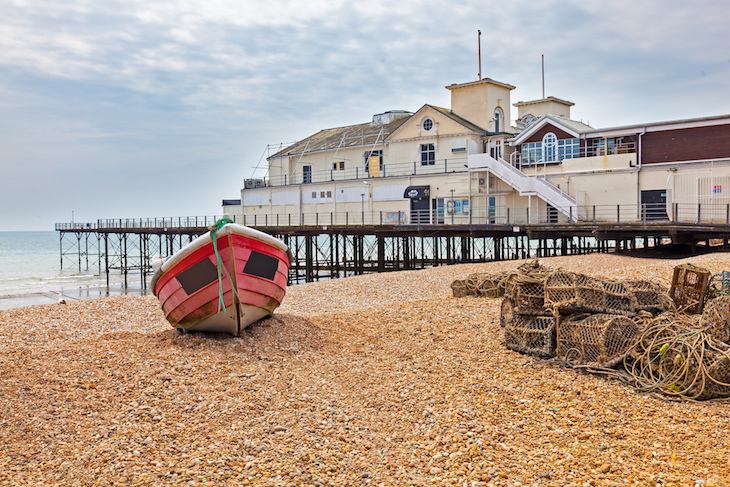 The Bognor Regis Museum tells the area's history, from fossils found nearby to the advent of that famous holiday camp. Where have we missed? Let us know in the comments. See also: 9 seaside towns in Kent to visit from London.